The automobile industry is experiencing a golden age of technology with a never-ending list of new gadgets and devices that make driving more efficient, convenient, safer, and just plain cooler than it was a few years ago. From electric cars that require no gas and driverless cars that require no driver, to cars that will stop without touching the brake and cars that can parallel park without breaking a sweat, the cars of the future are no longer fantasy. While most of these new technologies will become standard on new vehicles, what about that old clunker you drive? Not to worry, modern technology is so advanced now, it can even make your dumb old car act like a smart new car, with the click of a little device known as the OBD-II. You may not know it, but your car is actually smarter than you think. Since 1996, all cars built and sold in the U.S. have been required to have an On-Board Diagnostic system called the OBD-II. This electronic system gives mechanics complete control over your car’s engine, chassis, accessories, and diagnostic functions. Originally introduced to make sure a car’s emissions met FDA standards, it was required by the government to have a universal port that any technician could easily access with the right equipment. Now that society has caught up with technology, these ports have opened up a whole new world of gadgets that can use on any car and easily accessed by consumers. Your dumb old car has just been sitting there waiting for its full potential to be finally realized! It used to be that only your mechanic could make that annoying check engine light go away. He would just plug in a diagnostic tool and then count the money he was making with the time you thought it took him to figure out the problem. Shameful! Well, today is the day you take back the power because you too can diagnose your car’s problems with the touch of a button. By plugging a small OBD-II device into the port, it can do the same diagnostic tests your mechanic used to do. 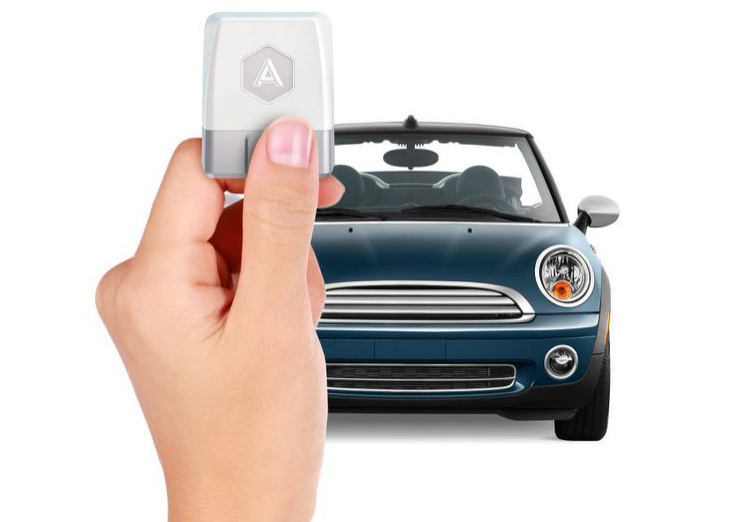 These devices, like the one made by Automatic, can do all that and more, including direct you to the nearest gas station when your fuel tank is low, track mileage for work-related trips, remember where you parked, and call for help if you are in an accident. Remember the days when family road trips meant suffering through hours of bonding with your annoying siblings by sharing in sing-alongs, playing I-spy games, and actually talking to each other? Well, those days are gone now that you can turn your old car into a wireless wonder wagon! Delphi Connect plugs into your OBD-II and can turn your car into a 4G LTE mobile hotspot where you can connect up to five Wi-Fi devices, such as laptops and tablets. Who needs 20 Questions when you can binge watch 20 episodes of your favorite streaming show? Teen safety tracking devices have been on the market for several years now. Companies like MotoSafety plug into your OBD-II port to track bad driving habits, monitor their whereabouts, send an alert if they drive outside a designated area, and will even let you know if they are doing donuts in the school parking lot. Spying on your kids has never been easier! But what about those unsafe texting habits? Well, companies like Scosche have you covered with a device that blocks cell signals and prevents devices from sending or receiving texts, calls, or emails while the vehicle is in motion. Sorry millennials, the good old days of engaging in unsafe behaviors, like your parents got to enjoy, are now a thing of the past! Of course, all the gadgets in the world do not compare to having a smart driver in the car. One of the best things you can do to make your dumb car smarter is to complete a defensive driving course to learn better driving habits. If you decide to enroll in traffic school voluntarily, your car insurance provider might award you with a safe driver discount. Now that sounds smart!